In the autumn of 1969, the Soviet dissident Andrei Amal’rik published an essay entitled ‘Will the Soviet Union Survive Until 1984?’ in the British journal Survey. At that time, Amal’rik was actively involved in ‘anti-Soviet activities’. He informed foreign correspondents in Moscow about acts of political repression in the Soviet Union and had previously spent a year in exile in Siberia. His manuscript was smuggled abroad secretly. However, when the British journal sent a remittance in his name as a fee for his publication, Amal’rik was able to receive this money officially via a Soviet bank. 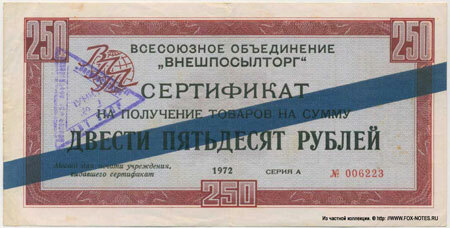 Moreover, he received his fee in the form of special ‘certificates’, which served as substitutes for foreign currency, and which could be spent in a special store called Beriozka, where the most sought-after consumer goods were on sale, inaccessible to ordinary Soviet citizens.1 This story challenges the common assumption that privileged consumption in the Soviet Union was limited to people who were loyal to the regime. In this article I will explore the paradoxical phenomenon of Beriozka stores, which existed in the USSR from the late 1950s to the late 1980s, and show how these stores influenced the social hierarchy of Soviet society. In the second half of the 1950s, the Soviet Union became much more open to the outside world. It participated in international projects, opened new embassies, trade missions and news offices abroad, and provided ‘technical assistance’ to postcolonial countries. As a result, a large number of Soviet citizens worked abroad and their wages were paid in foreign currencies. In the same period, a growing number of foreigners visited the USSR for business or tourism and also brought with them foreign cash. Since the Soviet Union was in need of foreign currency in order to pay for imported equipment and consumer goods, and since many goods in the USSR were in short supply, the government decided to offer Soviet citizens and foreign visitors the possibility to pay in foreign currency for certain scarce goods which were not available in ordinary Soviet stores, or which were available only occasionally and after extensive queuing. At the same time, in 1961, foreign tourists were also allowed to pay with foreign currency for the souvenirs they bought in the USSR. But unlike Soviet citizens, they paid in real cash. Special stores for foreigners were opened in airports, hotels and tourist sites, whose purpose (as in the case of trade via Vneshposyltorg for Soviet citizens) was to amass as much currency as possible.6 These were the first stores to be called Beriozka.7 Later on, the term was also applied to the whole system of trade in foreign currency in the USSR. By that time, the word Beriozka (birch tree) had already become associated with the image of the USSR abroad. In 1930, a district of Magnitogorsk where western engineers lived was called Beriozki,8 and in 1948 a folk dance group called Beriozka was created, which often performed abroad. In other republics of the USSR, stores for foreign tourists had other names. In Ukraine Kashtan (chestnut) and in Latvia Dzintars (amber) stores appeared at the same time as Beriozka stores. However, the brand name Beriozka soon became generic: the name originally used only for the stores that served foreigners in the RSFSR came to be applied to the stores that sold goods to Soviet citizens via Vneshposyltorg all over the USSR. One of the first items offered to Soviet citizens for foreign currency was a car – a rare item of private property in the USSR and a Soviet consumer dream.13 An ordinary Soviet citizen could buy a car only by registering on the waiting list at his or her workplace. The waiting period varied depending on the particular place of work, on the person’s position and his or her personal connections, but in most cases it took several years. However, there were different ways in which one could skip the queue. For instance, high-ranking officials were entitled to privileged consumption which enabled them to buy cars, or one could buy a car on the black market (but that could be rather dangerous). In these circumstances, the possibility of buying a car for foreign currency via Vneshposyltorg without any queue was very attractive. In 1970 Vneshposyltorg sold about 8,000 cars for foreign currency in Moscow.14 The total number of vehicles sold to individuals in the USSR in 1970 for ‘normal’ roubles was 123,000,15 which means that only the Moscow branch of Vneshposyltorg sold as much as 7 per cent of all cars sold in the USSR. 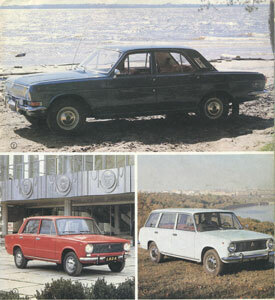 Unlike Central and South-eastern European countries, where foreign cars could also be bought for foreign currency,16 in Vneshposyltorg only domestically manufactured cars were available. 2.1. The first category of Beriozka customers, as mentioned, were citizens of the Soviet Union who earned money abroad. Some of them held positions in Soviet organizations abroad, that is, as employees of embassies, trade missions, and as newspaper or television correspondents. Others were representatives of the Soviet Union in international organizations such as the UN, UNESCO, IAEA, etc. 2.2. 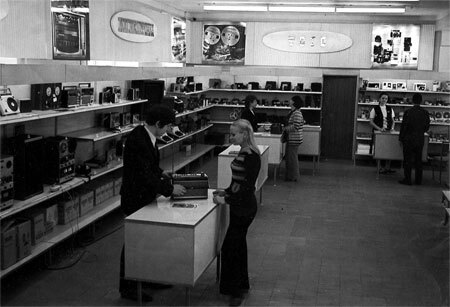 Soviet citizens who did not go abroad, but received remittances from foreign sources also had the right to shop in Beriozka stores. These remittances might be author’s royalties (for example if his or her book was published abroad), but also money sent by foreign relatives or friends, including inheritance or alimony. The state could decide who was or was not allowed to travel abroad, but it could not regulate who received remittances. What is more, the government had a vested interest in remittances being sent to Soviet citizens: since the recipients would get only the substitutes, the foreign currency would be accumulated in state coffers. But the recipients could often be ‘unreliable’ citizens, as they had connections with foreigners by definition. Informants also recall that Beriozka was very special due to its atmosphere, which amazed Soviet consumers: ‘My first trip to Beriozka made a strong impression on me: everything looked so good, so necessary, so nice. And then there was the store’s atmosphere: there was nobody around, and the salespeople were so much more polite than usual – it was a completely different form of customer service.’75 However, the image of Vneshposyltorg stores in Soviet society was ambivalent. On the one hand, they were objects of attraction, places where the most desired Western goods were readily available. But on the other hand, they caused indignation because formally they were closed to the public, and not everyone could get inside. Some criticized Beriozka as a hotbed of privilege, comparing them to the raspredeliteli, special closed stores for Communist Party and state officials. Others, knowing that one could buy currency substitutes for roubles, complained that these stores were only for rich people. In broad public discourse, Beriozka stores were almost a taboo until the second half of the 1980s (in contrast with the situation in Central and South-eastern European countries where similar stores were openly discussed in the press85). The instruction by the Bank for Foreign Trade on how to exchange currency to Vneshposyltorg checks had to be kept in a special safe deposit box as a classified document.86 Beriozka was rarely mentioned in the press. One of the few hints that I could find was an article in the satirical magazine Krokodil in 1976. It tells about an illegal flea-market near Moscow, where a man sold an expensive sheepskin coat. A customer asked whether he could buy it a bit cheaper, and the seller answered that one could get it at a lower price only in Beriozka.87 The Krokodil piece did not explain what Beriozka was, so apparently it was assumed that readers knew it. Other mentions of Beriozka in the media were found in two articles exposing an American ‘spy’. In 1977, George Krimsky, an Associated Press reporter based in Moscow, was expelled from the USSR: Soviet newspapers reported that he persuaded Soviet citizens to share secret information with him and paid them with Beriozka checks.88 So, although Beriozka were legal Soviet stores, shopping there could sometimes be interpreted as bordering on treason. In January 1988, the Council of Ministers of the USSR announced its decision to stop the circulation of Vneshposyltorg checks and to close Beriozka in order to foster social justice.95 The defenders of Beriozka were disappointed and claimed that ‘the idea of “social justice” treats legal owners of checks almost as illegal businessmen’, ‘equates honest people and profiteers’, and the victims are those who ‘just modestly bought some necessary items which were not available in the stores’.96 In fact, this equation appears justified: by that time, ‘honest people’ and ‘profiteers’ who shopped in Beriozka indeed had a lot in common, and the concept of a ‘modest purchase of necessary items’ is a key distinction here. In the Beriozka debate, however, both sides missed the main point. These practices created a new social phenomenon: a consumer society in the socialist state. 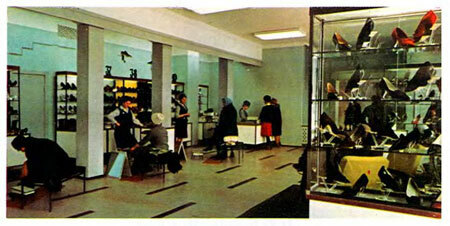 Beriozka became part of everyday life, an oasis of consumption in an atmosphere of chronic shortages, a place to shop for the Soviet middle class. Alongside high-level diplomats, Beriozka became a meeting point for those who worked in postcolonial countries, those who went on tours abroad or translated academic articles at home, those who had relatives overseas and those who illegally bought checks for roubles. These people were criticized (often by themselves) either for enjoying the state entitlement they did not deserve or for profiteering. However, they all simply wanted to buy fashionable goods, and their life decisions were determined by this desire. It is commonly assumed in historiography that members of the nomenklatura were at the top of the social hierarchy in the USSR – the Communist Party functionaries and high-ranking officials.98 On the one hand, the Vneshposyltorg system corroborates this hierarchy. Soviet officials who worked abroad and earned foreign currency were carefully selected, and access to the coveted certificates was their reward for loyalty. But at the same time, Beriozka trade was in conflict with this hierarchy: among Vneshposyltorg customers there were also people who did not hold high positions and could even have been considered disloyal to the regime. Their main ‘merit’, paradoxically, was the possession of foreign currency. The opportunity to purchase through Vneshposyltorg the goods otherwise in short supply created certain consumer strategies and practices. For example, people went to work in postcolonial countries or translated academic books and articles into English specially to gain access to Beriozka. Access to these stores became a badge of belonging to the new elite, referred to by sociologist Boris Dubin as the ‘heroes of the epoch of the deficit which didn’t belong to the official ruling elite’.99 In the environment of chronic shortages, Beriozka became a source of high-quality goods: during the 1970s and 1980s, more and more people all over the Soviet Union got hold of the checks and regarded Beriozka as a consumer paradise. Beriozka created new opportunities for consumers who thought that it was just a state entitlement. 1 Andrei Amal’rik, Notes of a Revolutionary, New York 1982, pp. 86-91. I would like to thank the Gerda Henkel Foundation for supporting my research. 2 See Elena A. Osokina, Zoloto dlia industrializatsii. Torgsin [Gold for Industrialization. Torgsin], Moscow 2009. 3 RGAE (Rossiiskii Gosudarstvennyi Arkhiv Ekonomiki, Russian State Archive of the Economy), f. (fond) 7733, op. (opis) 49, d. (delo) 806, ll. (list) 106-112. 4 RGAE, f. 7733, op. 49, d. 806, ll. 11-13. 5 RGAE, f. 413, op. 13, d. 8893, ll. 223-230. Vneshposyltorg was an abbreviation for vneshniaia posylochnaia torgovlia, international mail order, since this organization could also send ordered commodities abroad to the country where the customer worked. 6 For the trade with foreigners, which I do not consider in this article, see J.L. Kerr, Hard-Currency Shops in Eastern Europe, October 1977, Radio Free Europe Research, RAD Background Report/211, 27 October 1977; Anna Ivanova, Istoria torgovoi seti ‘Beriozka’ v SSSR (konets 1950-kh – 1980-e gg.) [The History of the Beriozka Retail Chain in the USSR (late 1950s – 1980s)], in: Rossiiskaia istoria [Russian History] 5 (2012), pp. 172-185, here pp. 175-176. 7 GARF (Gosudarstvennyi Arkhiv Rossiiskoi Federatsii, State Archive of the Russian Federation), f. A-410, op. 1, d. 1570, l. 255. 8 John Scott, Behind the Urals. An American Worker in Russia’s City of Steel, Bloomington 1942, p. 86. 9 RGAE, f. 195, op. 1, d. 73, ll. 72-89. Foreigners stationed in the Soviet Union (diplomats, journalists etc.) were also entitled to shop in the Vneshposyltorg stores. For them, another type of voucher was introduced – checks of the Bank for Foreign Trade, series ‘D’ (RGAE, f. 7590, op. 17, d. 187, ll. 153-154). 10 GARF, f. 5446, op. 106, d. 1823, l. 219. 11 RGAE, f. 7733, op. 58, d. 86, l. 97. 12 On Tuzex, for example, see Paulina Bren, Tuzex and the Hustler. Living It Up in Czechoslovakia, in: Paulina Bren/Mary Neuburger (eds), Communism Unwrapped. Consumption in Cold War Eastern Europe, New York 2012, pp. 27-48. On Bulgaria, see Rossitza Guentcheva, Mobile Objects: CORECOM and the Selling of Western Goods in Socialist Bulgaria, in: Études Balkaniques 45 (2009) 1, pp. 3-28. 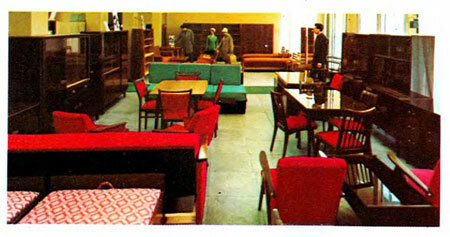 In the GDR, only foreigners could shop in Intershops in the 1960s. GDR citizens were allowed access to these stores only in 1974. Initially they could pay with foreign cash, but in 1979 they were obliged to pay with ‘Forum-checks’. See Jonathan R. Zatlin, The Currency of Socialism. Money and Political Culture in East Germany, Cambridge 2007, pp. 243-285. 13 See Lewis H. Siegelbaum, Cars for Comrades. The Life of the Soviet Automobile, Ithaca 2008; Jukka Gronow/Sergei Zhuravliov, Soviet Luxuries from Champagne to Private Cars, in: David Crowley/Susan Reid (eds), Pleasures in Socialism. Leisure and Luxury in the Eastern Bloc, Evanston 2010, pp. 132-140. 14 GARF, f. 259, op. 46, d. 1924, l. 72. 15 Torgovlia SSSR. Statisticheskii sbornik [Trade in the USSR. Statistical Compendium], Moscow 1989, p. 158. 16 Bren, Tuzex and the Hustler (fn. 12), p. 29; Guentcheva, Mobile Objects (fn. 12), p. 9. 17 RGAE, f. 7733, op. 49, d. 806, ll. 106-112. 18 See Susan Reid, The Khrushchev Kitchen: Domesticating the Scientific-Technological Revolution, in: Journal of Contemporary History 40 (2005), pp. 289-316; Natalya Chernyshova, Consuming Technology in a Closed Society: Household Appliances in Soviet Urban Homes of the Brezhnev Era, in: Ab Imperio No. 2/2011, pp. 188-220. 19 Elena Riabikova, Podpol’shchiki sovetskoi ekonomiki [Undergrounders of the Soviet Economy], in: Sloboda (Tula newspaper), 17 May 2006. 20 Interview with V.V.D. (Moscow), 20 March 2009. Hereinafter, all interviews mentioned were conducted by me in several post-Soviet cities in 2009–2011. I conducted about thirty interviews with former customers of Beriozka stores and with several people who used to work there. 21 GARF, f. 5446, op. 106, d. 1437, ll. 270-272. 22 Donald D. Barry, Housing in the USSR. Cities and Towns, in: Problems of Communism 18 (1969) 3, pp. 1-11, here pp. 10-11. 23 In Bulgaria, one could buy not only apartments for foreign currency, but also houses and even plots of land; see Guentcheva, Mobile Objects (fn. 12), p. 8. 24 Food sales were abolished in 1976 (GARF, f. 5446, op. 106, d. 1823, l. 219) – apparently for ideological reasons, but no explanation for this decision can be found in the documents. 25 Interview with L.G.O. (Naberezhnye Chelny), 28 May 2011. 26 RGAE, f. 7733, op. 56, d. 2, ll. 303-305. 27 There is no separate archival fund of Vneshposyltorg. Fragmentary documents are stored in the collection of the Ministry of Foreign Trade (RGAE, f. 413). The trade with currency substitutes was also actively discussed at the sessions of the Commission of the Presidium of the USSR Council of Ministers for Foreign Economic Affairs, but these materials are classified. 28 RGAE, f. 413, op. 31, d. 522, ll. 224-228; d. 1, l. 14. 29 GARF, f. 259, op. 46, d. 1924, ll. 72-75. 30 GARF, f. A-410, op. 1, d. 3288, l. 211; d. 3416, l. 177; d. 4022, l. 159. 31 Nikolai Krotov, Zhizn’ i udivitel’nye prikliuchenia Viktora Gerashchenko, zapisannye Nikolaem Krotovym [Life and Amazing Adventures of the Banker Victor Gerashchenko, recorded by Nikolai Krotov], Moscow 2010, p. 533. 32 See David C. Engerman, The Second World’s Third World, in: Kritika 12 (2011), pp. 183-211. 33 RGANI (Rossiiskii Gosudarstvennyi Arkhiv Noveishei Istorii, Russian State Archive of Contemporary History), f. 5, op. 30, d. 371, l. 40. 35 Discussion on Beriozka, 2011, URL: <http://dirty.ru/comments/323728>. 36 Interview with M.I. (Kharkov), 24 June 2010. 37 Formally speaking, each citizen working abroad could buy only one apartment, but through informal agreements with local authorities as well as marriages of convenience, people managed to acquire two flats and more. 38 Interview with I.L. (Moscow), 8 August 2011. 39 Nina Iakovchuk, Nazad k uravnilovke: reshili zakryt’ magaziny ‘Beriozka’ – a dal’she? [Back to income levelling: they decided to close Beriozka stores, but what next? ], in: Ekonomicheskaia Gazeta [Economic Newspaper] No. 30/1988, pp. 18-20, here p. 18. 40 This group also included transport workers (on international flights, trains and ships). For sailors whose vessels sailed abroad a parallel chain of stores (called Al’batros) with another type of currency surrogates was organized. See Ivanova, Istoria torgovoi seti ‘Beriozka’ (fn. 6), p. 176. 41 Iren Andreeva, Chastnaia zhizn’ pri sotsializme. Otchiot sovetskogo obyvatelia [Private Life under Socialism. A Report by an Ordinary Soviet Citizen], Moscow 2009, p. 185. 42 See Galina Vishnevskaia, Galina, Moscow 2006, pp. 381-414. 43 Vladislav Suntsev, Operatsia ‘Dunai’: kak eto bylo [Operation ‘Danube’: How It Was], in: Voni zahischali mir u Evropi [They Defended Peace in Europe], Zhitomir 2003, pp. 24-41, here p. 40. 44 This was possible only until 1987. Afterwards, Soviet servicemen got special Vneshposyltorg checks and could spend them only on Soviet military bases in Afghanistan; see Aleksandr Ramazanov, Rodnaia afganskaia pyl’ [Dear Afghan Dust], Moscow 2010, p. 67. 45 Andrei D. Sakharov, Memoirs, London 1990, p. 410. 46 Arina Ginzburg, Aleksandr Ginzburg: ot ‘Sintaksisa’ k ‘Helsinskoi gruppe’ [Aleksandr Ginzburg: from ‘Sintaksis’ to ‘Helsinki Group’], in: Materialy k konferentsii ‘Pravedniki v GULAGe: tsennost’ moral’nogo soprotivlenia sovetskomu totalitarizmu’ [Righteous in the Gulag: Moral Resistance to Soviet Totalitarianism. Conference Materials], December 2003, Milan, Italy, URL: <http://www.gariwo.net/file/Original%20language%20reports.pdf>, pp. 33-40, here p. 38. 47 GARF, f. 5446, op. 1, d. 869, l. 42. 48 RGAE, f. 7590, op. 17, d. 450, l. 26. 49 Interview with Sergei Khodorovich, 8 June 2011. 50 Interview with Evgenii Borisovich Pasternak (Moscow), 20 October 2009. 51 Sergei Iurskii, Zapadnyi ekspress [Express to the West], in: Oktiabr’ [October] No. 5/1999, pp. 38-60, here p. 59; Lazar’ Lazarev, Ukhodiat, ukhodiat druzia… [My Friends Pass Away...], in: Znamia [Banner] No. 10/2008, pp. 157-172, here p. 170. 52 Interviu s bratiami Strugatskimi [Interview with the Strugatsky brothers], in: Ezhenedel’nyi zhurnal [Weekly Journal], 3 November 2003. 53 RGAE, f. 7733, op. 65, d. 396, l. 219. 54 GARF, f. 5446, op. 1, d. 919, ll. 438-444. 55 The story of H.R. was told to me by Olga Smoliak, assistant professor at Perm State Institute of Arts and Humanities (she found it in the archival documents of Forschungsstelle Osteuropa, Bremen, Germany). 57 RGAE, f. 7733, op. 58, d. 2846, ll. 94-99. 58 The same phenomenon existed in Central and South-eastern European countries. In Czechoslovakia, a movie was even made about it in 1987: Bony a klid (director Vit Olmer). See Bren, Tuzex and the Hustler (fn. 12). 59 Interview with T.R. (Saint Petersburg), 1 July 2011. 60 Oleg Paramonov, ‘Beriozkiny’ den’gi [Beriozka Money], in: Rodina [Homeland] No. 4/1999, pp. 74-75, here p. 75; for an image of the stamp, see Mikhail Istomin/John Trick, Zameniteli valiuty v SSSR [Foreign Currency Substitutes in the USSR], pp. 37, 42. 61 RGAE, f. 7733, op. 64, d. 383, l. 1. 62 Vedomosti Verkhovnogo Soveta SSSR [Bulletin of the Supreme Soviet of the Soviet Union] No. 49/1976, p. 883. 63 Arkadii and Boris Strugatsky, Khromaia sud’ba [Limping Fate], Moscow 2009, p. 289. The novel was first published in 1986, but was written in 1971–1982. 64 Interview with A.B. 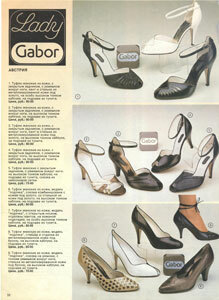 (Moscow), a salesperson in a Moscow Beriozka in the early 1970s, 3 February 2011; interview with A.A.U. 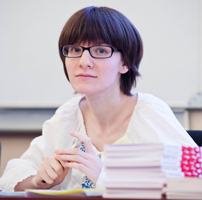 (Moscow), a former employee of the acquisition department of Vneshposyltorg, 3 June 2011. 65 Interview with I.L. (Moscow), 8 August 2011. 66 Interview with A.A.U. (Moscow), 3 June 2011. 67 Anatolii Rubinov, Brilliantovye ruki. O liudiakh, zhivushchikh ne po sredstvam [Diamond Arms. On People Who Live beyond Their Means], in: Literaturnaia Gazeta [Literary Newspaper], 1 July 1981, p. 13. 68 Interview with I.L. (Moscow), 8 August 2011. 69 Piotr Podgorodetskii, Mashina s evreiami. Vospominaniia o gruppe ‘Mashina vremeni’ [Car with Jews. Memories of the Rock Band ‘Mashina Vremeni’], Moscow 2007, p. 46. 70 Rukodelie iz riada fantastiki [Fantastic needlework], in: Mir mody Burda Fashion [The World of Burda Fashion], 29 April 2010, URL: <http://www.burdastyle.ru>. 71 Anna Tikhomirova, V 280 kilometrakh ot Moskvy: osobennosti mody i praktik potreblenia odezhdy v sovetskoi provintsii (Iaroslavl’, 1960 – 1980-e gody) [280 km from Moscow: Peculiarities of Fashion and Clothes Consumption in the Soviet Province (Iaroslavl’, 1960 – 1980s)], in: Neprikosnovennyi zapas [Emergency Ration] No. 5/2004, pp. 101-109, here p. 109. 72 Krokodil No. 23/1978, p. 4 (cited in Alexei Yurchak, Everything was forever, until it was no more. The Last Soviet Generation, Princeton 2006, p. 198). 73 Interview with V.B. (Minsk), 10 November 2010; with N.I. (Moscow), 4 May 2011. 74 Katharina Klingseis, The Power of Dress in Contemporary Russian Society: On Glamour Discourse and the Everyday Practice of Getting Dressed in Russian Cities, in: Laboratorium 3 (2011) 1, pp. 84-115, here p. 93. 75 Interview with A.M.G. (Moscow), 19 January 2010. 76 Mikhail Geller/Aleksandr Nekrich, Utopia in Power. The History of the Soviet Union from 1917 to the Present, New York 1986, p. 602. 77 Hedrick Smith, The Russians, London 1986, p. 44. 78 Iuz Aleshkovskii, Maskirovka [Disguise], in: Iuz Aleshkovskii, Nikolai Nikolaevich. Maskirovka, Ann Arbor 1980, pp. 71-128, here p. 104. 79 Interview with N.I. (Moscow), 4 May 2011. 80 Ogoniok [Little Flame] No. 15/1988, p. 10. 81 Interview with A.G. (Moscow), 17 November 2010. 82 Interview with I.L. (Moscow), 8 August 2011. 83 Interview with V.D. (Samara), 14 September 2011. 84 Interview with L.G. (Rostov-on-Don), 7 June 2011. 85 Bren, Tuzex and the Hustler (fn. 12), p. 30; Guentcheva, Mobile Objects (fn. 12), p. 18. In the GDR, even Erich Honecker expressed his opinion on Intershops in a newspaper in 1977. 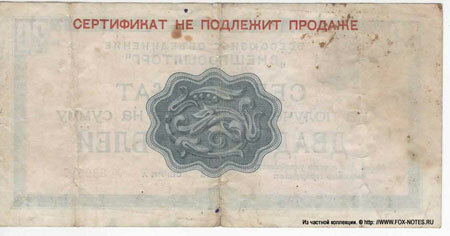 See Zatlin, The Currency of Socialism (fn. 12), p. 268. 86 RGAE, f. 7590, op. 17, d. 458, l. 372. 87 S. Pridvorov, Beskhitrostnaia istoriia khitrogo rynka [The Ingenious Story of the Illegal Market], in: Krokodil No. 4/1976, p. 7. 88 V. Valentinov, ‘Pod flagom’ informatsionnogo agentstva [Under the Guise of a News Agency], in: Literaturnaia Gazeta, 2 February 1977, p. 9; D. Morev/K. Iarilov, TsRU: Shpiony i prava cheloveka [CIA: Spies and Human Rights], in: Izvestia, 4 March 1977, p. 6. 89 See Anna Ivanova, Moral’naia otsenka privilegii i ekonomicheskikh prestuplenii v sovetskom obshchestve: diskussia o magazinakh ‘Beriozka’ v kontse 1980-kh gg. [Moral Assessment of Privileges and Economic Crime in Soviet Society: A Discussion of Beriozka Stores in the Late 1980s], in: German Historical Institute Moscow, Bulletin No. 6/2012, pp. 168-183. 90 See Corinna Kuhr-Korolev’s contribution to this issue. 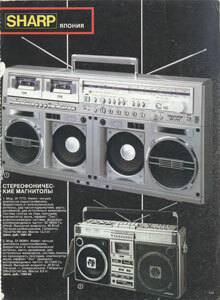 91 Pravda, 13 February 1986, p. 3. 92 XXVII s’’ezd KPSS. Stenograficheskii otchiot [Twenty-seventh Congress of the CPSU. Verbatim record], Moscow 1986, p. 144. 93 See Nancy Ries, Russian Talk. Culture and Conversation during Perestroika, Ithaca 1997, pp. 62-63. 94 For a discussion of social justice during perestroika, see David S. Mason/Svetlana Sydorenko, Perestroyka, Social Justice and Soviet Public Opinion, in: Scholarship and Professional Work – LAS, Paper 123/1990, URL: <http://digitalcommons.butler.edu/facsch_papers/123>. 95 O merakh po ustraneniu negativnykh iavlenii v torgovle na cheki Vneshposyltorga [On Measures to Eliminate Negative Phenomena in the Trade for Vneshposyltorg Checks], in: Izvestia, 28 January 1988, p. 3. 96 Iakovchuk, Nazad k uravnilovke (fn. 39), p. 18. 97 Yurchak, Everything was forever (fn. 72), p. 202. 98 Tamara Kondratieva, Gouverner et nourrir. Du pouvoir en Russie (XVIe – XXe siècles), Paris 2002, pp. 279-302; Mervin Matthews, Privilege in the Soviet Union. A Study of Elite Life-styles under Communism, London 1978; Thomas Henry Rigby, Staffing USSR Incorporated. The Origins of the Nomenklatura System, in: Soviet Studies 40 (1988), pp. 523-537. 99 Boris Dubin, Byt, bytovshchina, obydenshchina. K istoricheskoi sotsiologii idei povsednevnosti v Rossii [Towards a Sociology of the Ideas of Everyday Life in Russia], in: Aleksandr Gofman (ed. ), Sotsiologia i sovremennaia Rossia [Sociology and Modern Russia], Moscow 2003, pp. 124-136, here p. 135. Anna Ivanova, Shopping in Beriozka. Consumer Society in the Soviet Union, in: Zeithistorische Forschungen/Studies in Contemporary History, Online-Ausgabe, 10 (2013), H. 2, URL: http://www.zeithistorische-forschungen.de/2-2013/id=4536, Druckausgabe: S. 243-263.